What does a Street Corner Franchise Cost? The total investment to own a Street Corner ranges from $80,000 to $1,500,000 depending on the type and size of the store you purchase. This range is wide because the extent of construction and/or customization and the amount of products stocked can vary. Street Corner offers four business models: in-line mall-store, gas station, urban superette or kiosk. Owners may choose to open their store in an existing location. We make it EASY for you to own your FUTURE! Financial independence. Flexible work schedule.Enjoyable work environment. All the benefits of being your own boss are waiting right around the corner. 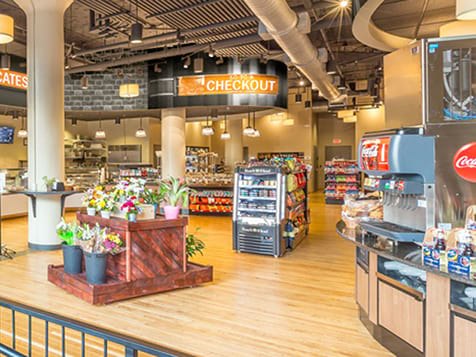 The Street Corner Urban Market concept is unique and sets us miles apart from traditional, mainstream convenience stores that lack soul and vision. 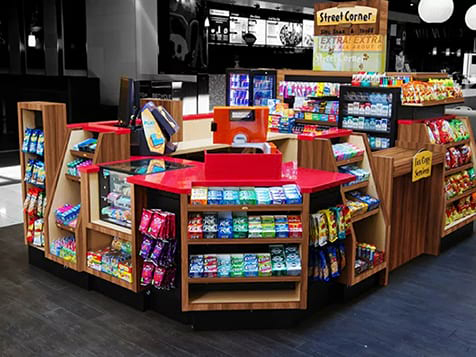 We offer a variety of store formats — including the Urban Superette, Fuel Station, Mall Store, and Mall Kiosk — all of which are built using fresh and innovative designs that vastly improve the shopping experience for our customers and increase profits for our franchisees. Unlike many franchise offers, joining Street Corner’s family requires no previous experience. We provide full training and support for starting and operating your Street Corner business. We make it easy for you to make it successful! Street Corner has worked to create a friendly, welcoming, well-trusted identity for our family of franchises. Great products, great service, provided by great people. Our concept is simple–We offer our customers a friendly, well-designed, attractive place to stop, take a break from their shopping or job and buy that well-needed pick-me-up that they can’t find anywhere else. In addition to favorite convenience store items, your Street Corner is also stocked and ready with over-the-counter remedies, office items, souvenirs, gifts, lottery tickets or even on-the-road fax, money order or copy services. Our urban markets offer fresh, appealing, flavorful and, where possible, locally sourced options while our finish-to-order program is designed with speed of service in mind and keeps production costs down. Additionally, we value the use of technology to improve the customer experience, equipping our fuel stores with pay-at-the-pump options, self-checkout options, and after-hours self-pay options -- all true conveniences that improve service and lower labor requirements. 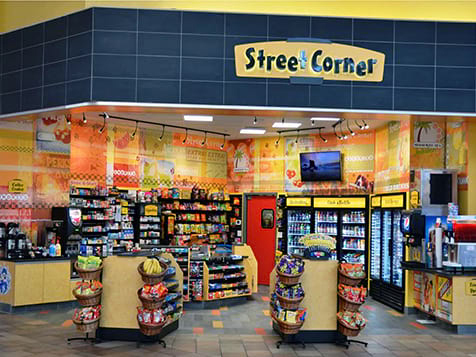 As an added bonus, unlike many other franchise businesses, at Street Corner you may even customize some of your products, vendors and services to suit your own favorites or regional trends and preferences. We offer franchising options not often found in this industry, extensive real estate support, grand opening support (including all design work and assisting opening new stores), and the potential for master franchising through territory representative agreements. Our database of pre-qualified locations is designed to help you quickly and easily identify opportunities in your key markets. Additionally, because customer lifestyle and purchasing decisions will vary depending on store location and format, we offer one-on-one guidance and continuing support for our franchisees as they make important decisions (again, benefits not typically found in our industry). When you contact us, you won’t be directed to a call center. We’re big enough to provide you with the resources and support you need, but small enough to provide personalized service and attention to detail.